EDMONTON, Alberta (AP) — A return home was apparently just what the struggling Edmonton Oilers needed. 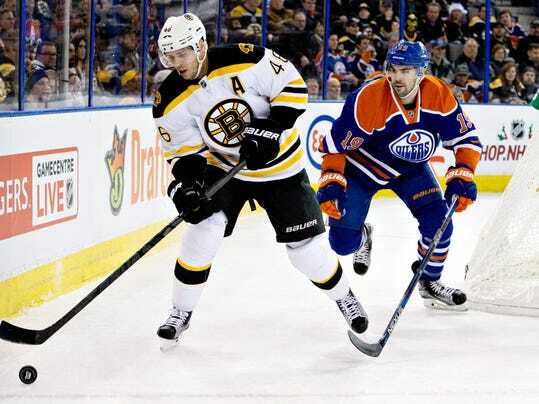 Jordan Eberle scored in the shootout to lift the Oilers to a 3-2 victory over Boston on Wednesday night, snapping the Bruins’ five-game winning streak. Mark Letestu and Matt Hendricks scored in regulation as the Oilers won for the second time in six games. Edmonton was coming off a 1-3-1 road trip that was capped by a 3-0 loss at Toronto on Monday night. Anders Nilsson continued to make his case to be the Oilers’ No. 1 goalie, making 38 saves through overtime and stopping all three shots he faced in the shootout.